To investigate the roles of P2X7 receptors (P2RX7) in the pathogenesis of experimental autoimmune uveoretinitis (EAU). Either wild-type (P2rx7 +/+ ) or P2rx7-deficient (P2rx7 −∕− ) mice were immunized with interphotoreceptor retinoid-binding protein (IRBP) peptide 1-20. Severity of EAU was evaluated clinically and histopathologically. The induction of IRBP-specific proliferation and cytokines in draining lymph nodes was assessed by enzyme-linked immunosorbent assays (ELISA). The frequency of activation markers was examined by flow cytometry. Furthermore, inhibitory roles of systemic administration of Brilliant Blue G (BBG), an antagonist for P2RX7, in EAU were also assessed in the wild-type mice. The severity of EAU in P2rx7 −∕− mice was reduced as compared with that in P2rx7 +/+ mice, both clinically and histopathologically. IRBP-specific proliferation in P2rx7 −∕− on day 16 was slightly decreased compared to that in P2rx7 +/+ mice. The induction of IRBP-specific interferon (IFN)-γ and interleukin (IL)-17 in P2rx7 −∕− mice on day 16 was lower than that in P2rx7 +/+ mice. The up-regulation of surface expression of activation markers such as CD25, CD44, and CD69 in response to TCR stimulation in P2rx7 −∕− mice was decreased as compared with that in P2rx7 +/+ mice. Furthermore, neutralization of P2RX7 in vivo by BBG suppressed EAU clinically and histopathologically. IRBP-specific IFN-γ and IL-17 induction in BBG-treated mice was significantly lower than that in vehicle-treated mice. 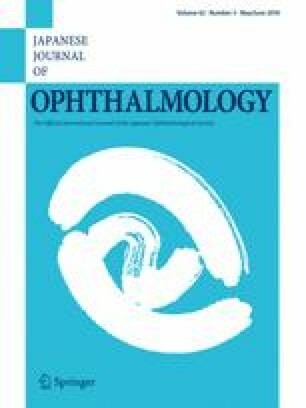 The results suggest that P2RX7 is a novel preventative therapeutic target for uveitis as it suppresses the effector functions of both Th1 and Th17 cell responses. We thank to Ms.Michiyo Takahara, Ms.Yuka Matsutani, and Ms.Yukari Mizuno for their technical support throughout the experiments. This work was supported by JSPS KAKENHI grant number 15K10896 (grant C to A.T.) and Grant Number 10294943 (grants B to K-H.S.) from the Ministry of Education, Science, Sports and Culture, Japan and grants from the Japan Foundation for Applied Enzymology (AT; Osaka, Japan) and Charitable Trust Fund for Ophthalmic Research in Commemoration of Santen Pharmaceutical’s Founder (AT; Tokyo, Japan). A.T. designed and performed experiments, analyzed data, and wrote the manuscript. H.Y., E.H., S.M., and T.Y. performed experiments and analyzed data. A.M., S.N, T.H., R.Y., K.K. and H.E. analyzed data. T.I. designed experiments and analyzed data. K-H. S. was the principal investigator, designed experiments, analyzed data, and wrote the manuscript. All authors had the opportunity to discuss the results and comment on the manuscript. A. Takeda, None; H. Yamada, None; E. Hasegawa, None; M. Arima, None; S. Notomi, None; S. Myojin, None; T. Yoshimura, None; T. Hisatomi, None; H. Enaida, None; R. Yanai, None; K. Kimura, None; T. Ishibashi, None; K. Sonoda, None.